For centuries, the capital city only meant Buda, as they established Budapest in the 19th century, when three cities, Buda, Pest, and Old Buda formed the city that we know today as Budapest. The walk explores the transformation of the somber Anjou fortress to the glittering and powerful court of King Sigmund. Sigmund's reign already marked the first decades of the Castle Hill’s golden age, which flourished under the reign of Matthias Corvinus and his Italian wife, Beatrix. The royal couple formed a dazzling renaissance court at the Castle Hill. The ravishing court of Matthias Corvinus was followed by the Turkish Occupation, lasting 150 years. We explore this exciting period from the painful memories of the occupation and its heroes to the merrier Turkish heritage, such as Turkish baths and many Turkish words in the Hungarian language. The wars destroyed the medieval castle by the 18th century, and it was slowly replaced with a glittering baroque castle. We show you where did they build the first buildings of the royal residence, designed as an expression of Maria Theresa’s gratitude to the Hungarians. We also explain why did nuns and scientists live in the royal palace for a while. We explore the relationship between the Hungarians and the Austrian Habsburgs, which started out as an tyranny and ended as fruitful cooperation. We tell the tale of Emperor Franz Josef and his wife Elisabeth, who rebuilt the palace to it its contemporary form. The Compromise in 1867 marked the foundation of a new union between Austria and Hungary. 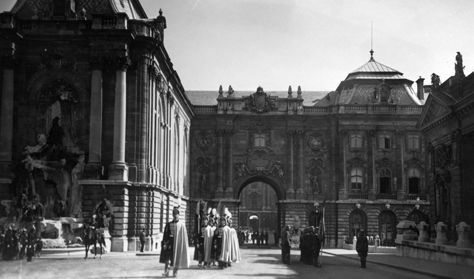 The newly crowned king and queen of Hungary started large-scale constructions to be able to house their large court and invite Hungarian guests appropriately. The walk also explores how did the tragic suicide of Prince Rudolf and his lover influence the development of the palace. We explore life in the Buda Castle between the short peaceful period between the two world wars and imagine the garden parties and diplomacy meetings of the governor’s residence. We evoke the painful years of the World War II occupation, explore life under siege at the Buda Castle and tell what remained after the destructions of war. We continue with the years of reconstruction and the role of the Buda Castle in the socialist era. We close the walk with the events following the change of regime and explore the different functions of the royal buildings and future plans for the Buda Castle.